That’s right. I said it. Check your cheeze-whiz. 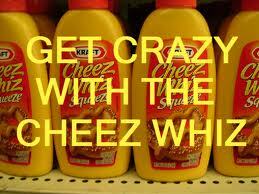 As in cheeze-whiz marketing. This is what I call any generic attempt at marketing or patient education to save a few bucks or time and it always comes out looky CHEESY and well, for lack of better terms, cheap. You know what I am talking about. The copied a bazillion times health history form that is all whobberjawed, completely crooked and some questions barely readable. The crinkled, old, whipped right off of word , taped up on the wall sign with the corners turning up, that says “We expect your portion at time of service”. Or how about an informational flyer, taped to the front desk? The tape is peeling, couple of scribbles on it from people trying to get a pen to work, a corner or two missing and it dates back from the stone ages? White out used on anything that has to do with patient communication? Please tell me it ain’t so! Home care instructions, printed and copied to death, cut crooked and without any practice information on it? Ugh. 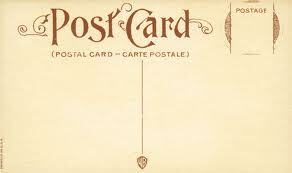 Reminder postcards dating back to the 19th century that you are still using because you got such a great deal on bulk quantity that you’ll have enough to use until you retire? 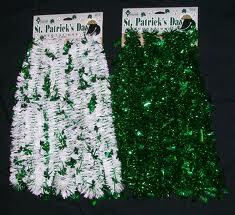 Sparkly green and silver garland draped over your front sign at an attempt to celebrate St. Patty’s day? Oy vay. Outdated literature or pictures on bulletin boards? Patient financing options typed generically on a word document then taped in the consultation room? Brochures that were designed with your first logo when you opened your practice, yet you’re still trying to use up the stock? A sign in sheet that has been copied to death, scribbled on, highlighted and again with no practice information to be found? Here’s a thought – why do you even have a sign in sheet? Shouldn’t each patient be greeted immediately upon arrival by a friendly face? New patient packets that include a folded up, copied health history form, a generic, over copied version of office finance policies and an appointment card that is so outdated the colors have faded? Why not just tell them at their new patient phone call “we like to scrimp on things to save a few bucks and don’t put much thought into our representations but we’ll try to take good care of you”? Websites – Typos galore with stock pictures that you see on 100’s of other websites? No practice information and you have to search to get anywhere? Can’t clearly see the phone number on every page? Hours not listed? User friendly or practice killer? It’s totally worth having a professional give your website a check up! C) Scream that THIS is the dental practice to belong to! Take a walk around your practice today and see what might need to be refreshed. If you need tape for it, don’t do it. Beautiful, intelligent and crisp marketing materials do NOT have to cost you an arm and a leg, yet the ROI will be HUGE. Cheers to you for healthier marketing! 1 Response to Check your cheeze-whiz! Great article Mary Beth. Just heard a good Marketing tip at the Hinman Dental meeting that every dental office should do a least once per year. All staff members go out to the parking lot with a pen and pad of paper. No talking. Everyone walk to the door of the office, spend time in the reception room, treatment rooms, front desk, etc and write down everything that needs attention. Gather the lists and categorize into three lists, 1) Can be fixed for free 2) Can be fixed for a little money 3) Can be fixed with a lot of money. 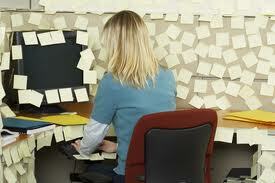 Waste no time fixing list #1 and you will be surprised the difference it makes to the appearance of your practice. Patients see this stuff all the time and we are too busy to see it.